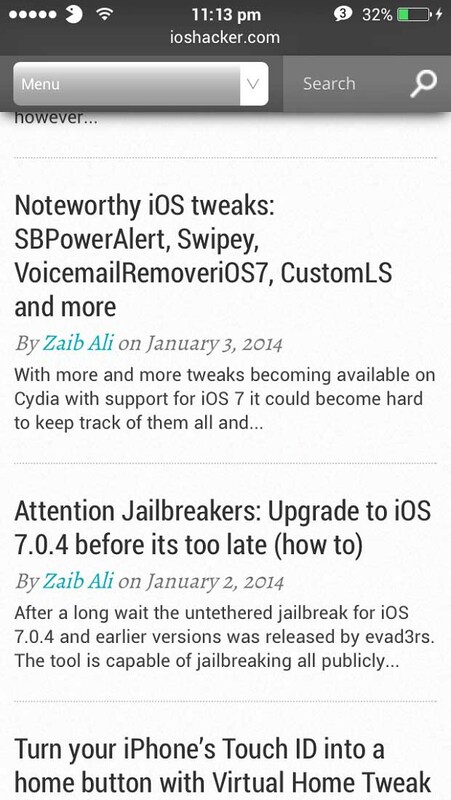 A new jailbreak app called BytaFont 2 has been released in Cydia. With BytaFont 2 users can replace iOS’s default font with any font of their choice. The changes made by this app can be applied system wide or in particular areas and they work on any jailbroken iPhone, iPad or iPod touch. The app is pretty simple to use and does not require any advanced configuration from the user. There are options to apply the available font on all sections of the operating system or just at the specific section including Camera, iBooks and Keyboard. The fonts for this app can be downloaded from Cydia where they are available under the “Fonts (BytaFont 2)” section. Some of the fonts that are available right now include Roboto, Cartogothic Std Font, Lilly Font, Neuropol Font, Walt Disney font and more. Changing a font has a significant affect on device UI and changes are visible on the homescreen, lockscreen, Safari, iBooks, iMessage, menus, keyboard and many other parts. 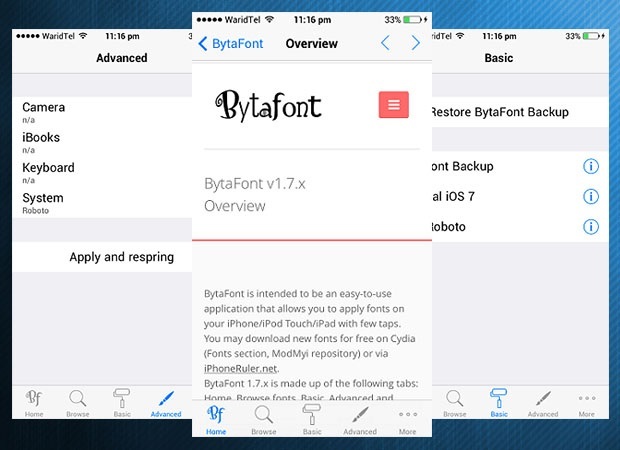 BytaFont 2 has been released with full support for iOS 7 and is compatible with all versions. You can get it for free from the ModMyi repository. iOS Hacker’s mobile website with Roboto font.